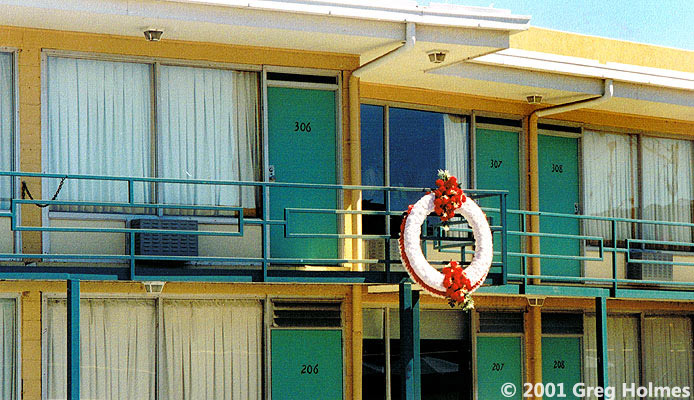 The life of Martin Luther King, Jr. is illustrated at the National Civil Rights Museum in Memphis, located in the Lorraine Motel, where King was shot. 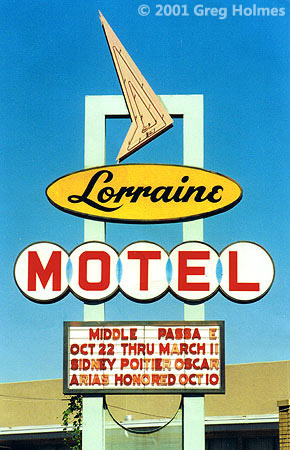 The Lorraine sign with chevron atop is an example of mid-20th Century style known as "Googie". See more of the Lorraine here. It's funny what you miss, but not surprising given the amount of visual stimuli we're bombarded with everyday. 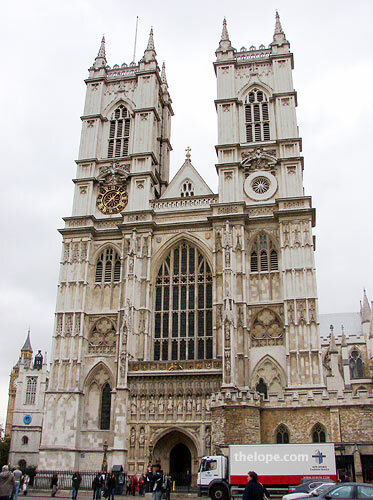 I just read that King is memorialized as a statue on the west face of Westminster Abbey in London. I walked right past this in 2006 and didn't notice the distinctly modern flavor of the statues. 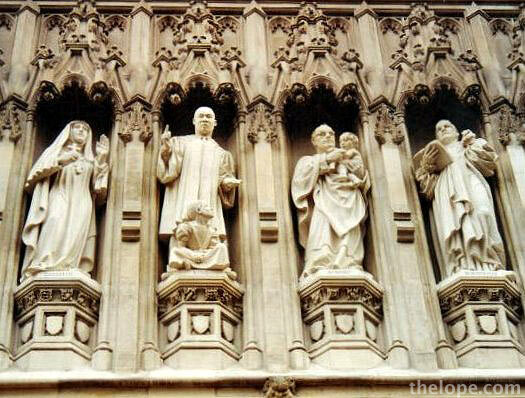 King is one of the ten 20th Century martyrs depicted in row of statues seen in about the center of the photo above. I didn't shoot any closer pictures of the statues, which is a lesson: always, always shoot close-ups of statues. You never know how relevant they might be to you later. Wikipedia comes to the rescue. Here's a close-up shot by by T. Taylor and kindly offered for publication under the creative commons. The figures are (L-R) four of the ten 20th Century martyrs: Mother Elizabeth of Russia, Rev. Martin Luther King, Jr., Archbishop Oscar Romero and Pastor Dietrich Bonhoeffer. 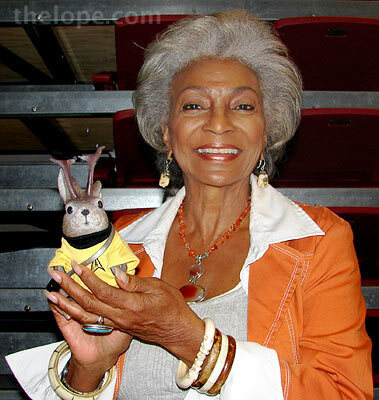 And we may owe a bit of Star Trek to King, Jr. Nichelle Nichols is fond of reporting she had a conversation with King at a point when she says she was tempted to leave the show because she felt her Lt. Uhura character not to be relevant enough. She says King urged her not to leave the show, stating that she was a role model for African American children and young women.